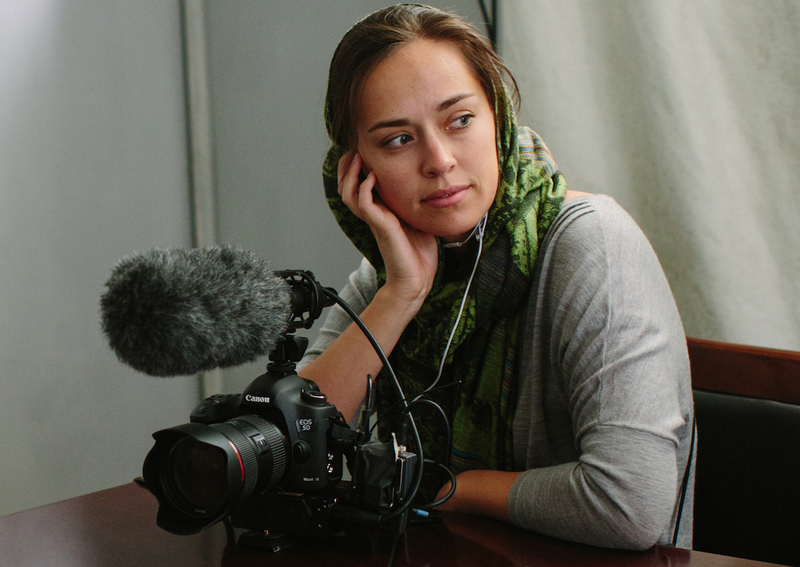 Amber Fares is an award-winning documentary director, producer and cinematographer. Her recent projects include Senior Producer/Cinematographer on America Inside Out with Katie Couric (2018), which aired on National Geographic, and cinematographer and co-producer on the feature length documentary The Judge (2017), which premiered at TIFF and will air on PBS this fall. Amber was also brought on as an Associate Producer on Transparent Season 4 (2017), where she consulted specifically on storylines that took place in Palestine. Amber’s debut film, Speed Sisters (2015), premiered at HotDocs and is currently playing on Netflix globally. The Saudi Gazette named it one of the top 10 films to watch on Netflix and The New York Times called it “subtly rebellious and defiantly optimistic.” Amber is currently working with Grace Lee and Marjan Safinia on the feature length documentary called And She Could Be Next about women of color running for political office across America. Amber’s films have won numerous awards and have played in film festivals around the world, including TIFF, Sheffield, Hot Docs, IDFA, CPH:Dox and Doc NYC. Her work has been featured on CNN, Al Jazeera, ALLURE, Amazon, PBS, VICE and National Geographic. Amber was a 2015 Sundance Catalyst Fellow, 2014 Sundance Institute Edit and Story Lab Fellow and spoke at TedXWomen Barcelona 2013.